A live set from New York producer DADRAS is known to be transformative and ear-obliterating from his hardwired fusion of electronic and hip hop, rattling off piston pumps and rapid fire percussion to agitate the tinnitus. The release of RUBAIYAT I in March, delivered the listener a dark voyage into the depths of hollow-point electronics. Tracks like “Yuppie Scum” weren’t just titled with violent language, but it’s as though the name was born of the acrimonious sounds that zero in on the nerve endings. As menaced as DADRAS might seem based on record, he’s in a better place on the “Cool Summer Mix”. 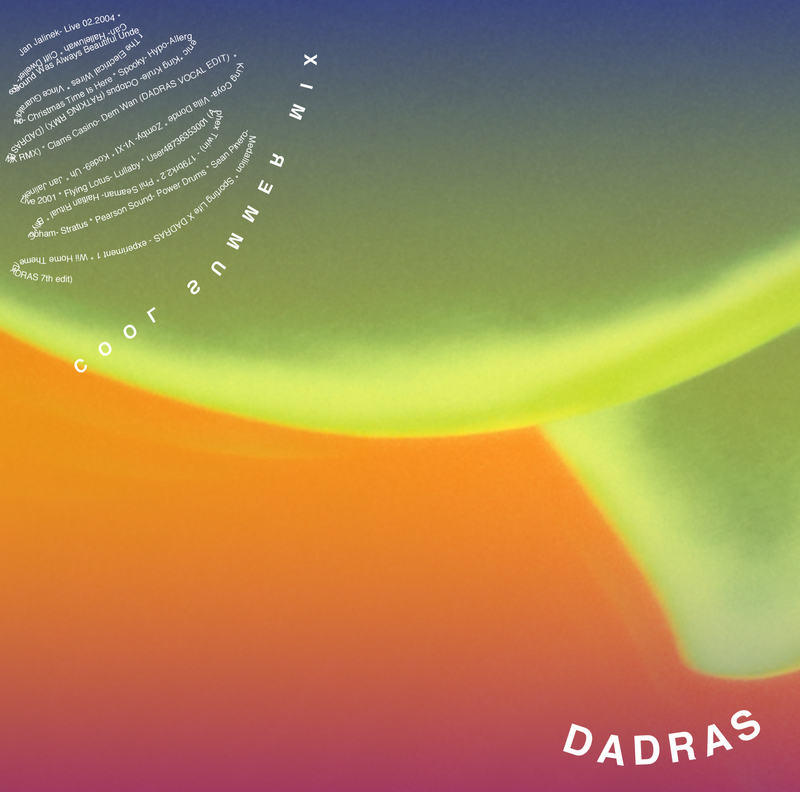 Signed to Rioux’s Connect label and collective, DADRAS has played the group’s event series and was featured on RATKING’s MoMa Ps1 mix. Somewhat returning the favor, the “Cool Summer Mix” circulates through collabortions with peers, co-edits of contemporary cuts, and delves into a few decades of influential signposts that helped DADRAS arrive at his sound. Consider the mix a rewind to fill in pieces of the backstory before DADRAS re-routes his trajectory with the release of RUBAIYAT II, which promises to be more vibrant and dance-oriented, later this year. This mix spans decades worth of genres and the influences I’ve drawn from each of them. I drew parallels on feelings of warmth, rhythm and feel – from Can to Jan Jalinek, King Krule to Billy Cobham. Here’s to a nice summer after another typically heinous New York winter. Enjoy. DADRAS’ RUBAIYAT I is out now on Connect.